vincent_admin September 30, 2018 September 30, 2018 Comments Off on Kanye West delivered a pro-Trump rant on SNL. The audience booed, but he earned Trump’s praise. Trump apparently wasn’t into Matt Damon’s Brett Kavanaugh impression. West’s pro-Trump monologue, on the other hand, he liked. There was a lot President Donald Trump didn’t like about this weekend’s Saturday Night Live premiere, including, presumably, Matt Damon’s screaming and crying Brett Kavanaugh impression and Kate McKinnon’s “Ruth Bader Gins-burns.” But there was one part he did enjoy, according to his Twitter account: the performance by rapper Kanye West. 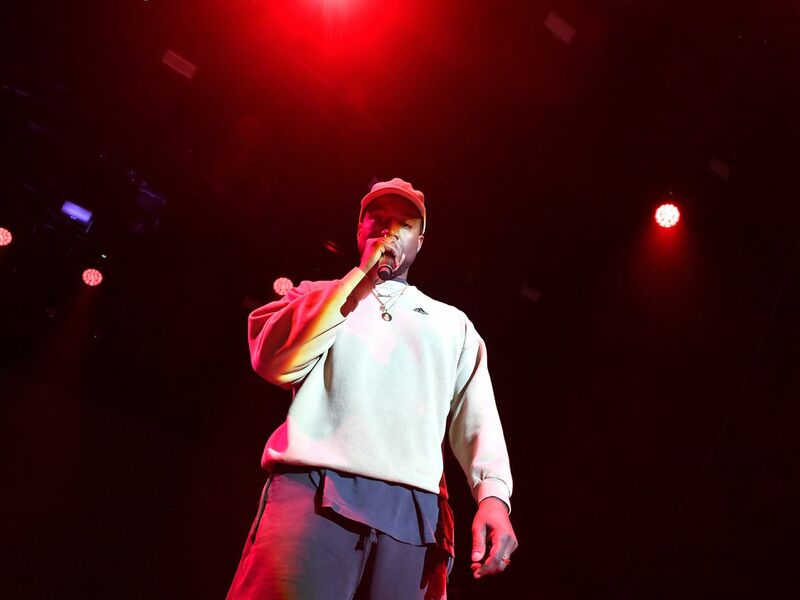 West, who prior to Saturday’s show declared that he now prefers to go by “Ye,” performed three songs on SNL, including a new song, “We Got Love.” While his musical performances made it to air, an impromptu monologue, in which he spoke about Trump, did not. After West’s final performance, when he and cast members gathered on stage to end the episode, he started talking to the audience — and continued. The show had already gone off the air. He warned that people can’t be controlled by “monolithic thought” and mentioned disgraced comedian Bill Cosby. “You can’t always have when you have a black subject matter like Cosby that you have to have a black comedian talk about it,” he said. A separate video posted on YouTube appears to have captured the end of West’s speech, in which he encouraged the band to start playing again and got the people on stage to dance and sing. West also brought up that he’s considering running for president in 2020. At points during his monologue, there was sparse clapping. At other moments, there were boos. Trump, who has made a habit of complaining about SNL on Twitter, took to the social media platform on Sunday to slam this week’s premiere — with the exception of West. The skit show is “no longer funny, no talent or charm” but is instead a “political ad” for Democrats. “Word is that Kanye West, who put on a MAGA hat after the show (despite being told ‘no’), was great,” Trump wrote. West’s comments about the president — and the president’s comments about him — have been a bit of a befuddling subplot of the Trump era. The rapper and fashion magnate, who declared President George W. Bush “doesn’t care about black people” in the wake of Hurricane Katrina in 2006, has acted warmly toward Trump, who has a long history of racist positions and remarks. Kanye has referenced Trump three times in his lyrics, primarily as a shorthand for the idea of wealth, luxury, and the ability to fire people. The first reference came in 2005 when Kanye freestyled on the YouTube channel Tim Westwood TV (“I ain’t no clown like Ronald / Uh, more like Donald / Trump, with the way I get it crunk”), then in 2009’s “Flashing Lights (Remix)” (“You fired mothafucka Donald Trump ni**a”), and then in 2010’s “So Appalled”(“Balding Donald Trump taking dollars from y’all / Baby, you’re fired, your girlfriend hired”). He also featured a naked depiction of Trump in the bed tableau that appears in the video for his song “Famous,” which debuted earlier this year. All of that adds up to four Trump references in seven years. (For comparison’s sake, that’s more than Kanye has referenced, say, Givenchy, but less than the 12 times he’s mentioned Gucci in his lyrics.) In Kanye’s songs, Trump is a symbol of the kind of wealth and power that American culture generally withholds from black men: He has the kind of decadent wealth that you can use to party with, but he can also control other people’s employment, hiring and firing them at will. In August, late night host Jimmy Kimmel asked West in an interview why he’s been so friendly with Trump. “It’s not about policies, because I’m not a politician like that,” West told Kimmel, saying that it had taken him “a year and a half” to work up to wearing a MAGA hat. “It represented overcoming fear and doing what you felt no matter what anyone said, and saying, ‘You can’t bully me,’” he said. Kimmel then referenced his Bush comments. “You’ve so famously and so powerfully said, ‘George Bush doesn’t care about black people.’ It makes me wonder: What makes you think that Donald Trump does, or any people at all?” he asked. West appeared stumped, and Kimmel cut to commercial. What time does SummerSlam start tonight, what is the match card and how can I watch pre-show kickoff for FREE?